Today I have a post from Miryam for you. 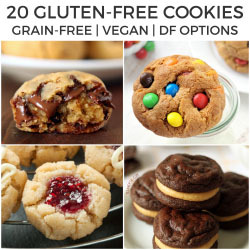 Miryam’s recipes are the entire reason why I started whole grain baking. Before I found her blog, I was making everything with all-purpose flour. I’ve probably made about 20 of her recipes and every one has been awesome. Definitely go take a look if you haven’t already! Hello everyone, my name is Miryam and I am the dietitian behind the blog Eat Good 4 Life. 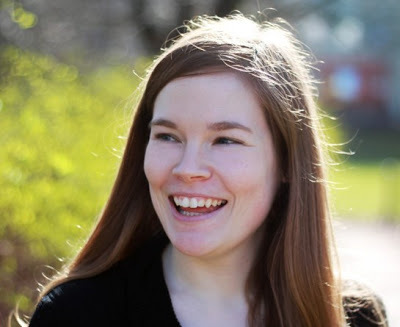 I’m so thrilled that Erin has asked me to do a guest post for her. We have never met before but we will be meeting soon. She will be coming over to the USA, all the way from Germany, to attend a food blogger event in Texas. Before arriving in Texas she will stop in NJ, where I live, so that we can visit the most famous bakery shops in Manhattan and do some baking and perhaps some cooking too. So has anyone ever had any dessert involving avocados? I know it may sound a bit strange at first, but if you haven’t tried it already I suggest you do. I have made a dark chocolate avocado mousse in the past that everyone really loved. This is my second dessert recipe using avocados and I don’t think it will be my last. This dessert is not only super easy to put together, but it is healthy and refreshing. Perfect for the coming hot weather. I think if you don’t have an ice cream maker, you should invest some money on one. It is fairly inexpensive and you can make ice cream, sorbet and frozen yogurt with it. I think this machine is a must for the summer. We never buy ice cream anymore. I just keep the ice cream maker bowl in the freezer at all times and when ever we feel like we want to eat ice cream, I just come up with an easy recipe and have the ice cream ready in just 20 minutes. I wanted to make this avocado ice cream mint and chocolate flavor because of the green color. I guess I took advantage of the green natural color of the avocados and made a healthy mint and chocolate ice cream version. My kids thought they where having the real deal, which in my opinion, that is the best thing. 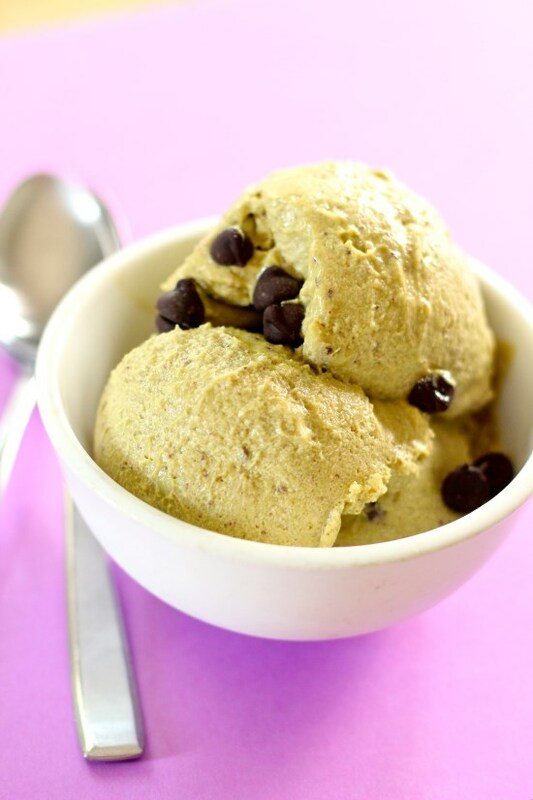 If you want another delicious and healthy ice cream, try this vegan matcha coconut ice cream from Lauren Kelly Nutition! Don’t be turned off by the avocados. Try it and least once to be able to really tell weather you like it or not. I hope you do though. 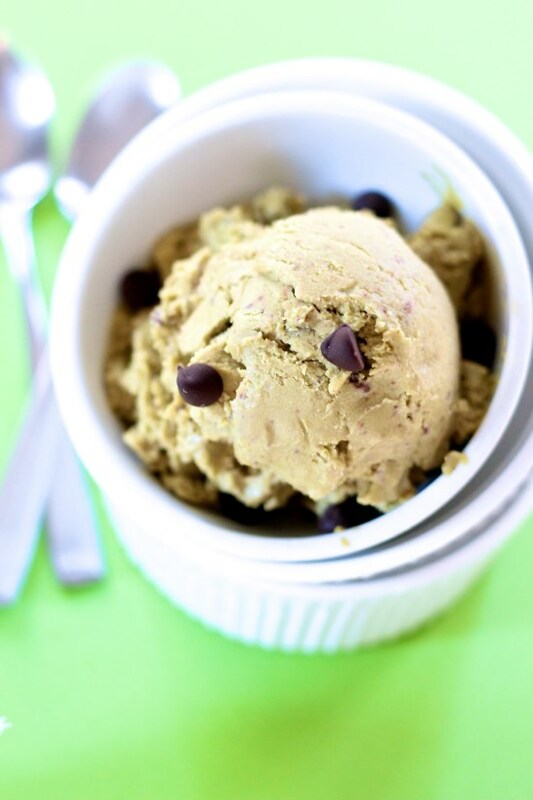 If you don’t have an ice cream maker, try this Gluten-Free Cookie Dough Brownie Ice Cream from Flippin’ Delicious! Place all of the ingredients in a food processor and pulse until smooth. About 30 seconds or so should be sufficient. Cover the mixture and place it in the freezer for 1 hour. Freeze mixture in your ice cream maker according to manufacturer's instructions. If you like a firmer ice cream, store in the freezer for a couple of hours before serving. 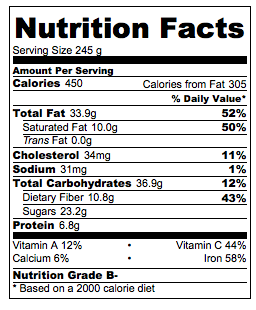 30 comments on “Dark Chocolate And Mint Avocado Ice Cream” — Add one! sounds delish! i’d like to try it. Come to think of it, avocados are not a turn-off, you’re right. They’re actually delicious in their own way. I even eat them raw so if they are turned into ice cream with this recipe, I’d love them more since I also love ice cream. It really pays when you don’t need to buy ice cream. Now I think I need to buy an ice cream maker machine. 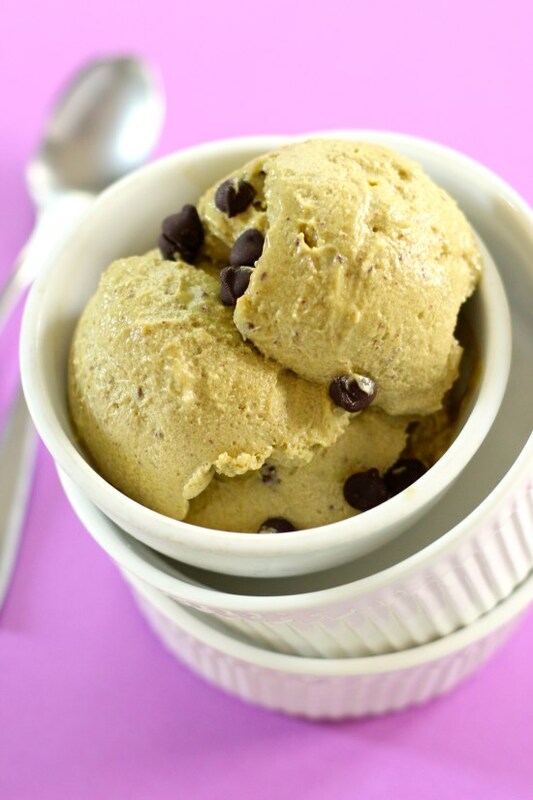 i’ve used avocados in pudding and brownies before…and now for sure in this ice cream recipe…yeah and mint is my favorite! This sounds so interesting. I have never used avocados in desserts before. I think it’s kind of weird, but I’m sure everyone does before actually trying it. I bet my mom would love to try something like this since she loves avocados. I have been wanting to try avocados in dessert, I just haven’t gotten around to it! What a great idea for this ice cream! What could I sub the yogurt and heavy cream with? Nothing, really. Unless you wanted non-dairy yogurt and non-dairy cream. It has all the elements in food I love except the heavy cream and yogurt. I wonder if you could substitute coconut cream for the heavy cream. Any thoughts? You could try but it wouldn’t come out nearly as creamy. I don’t think I’d enjoy it very much (too icy) but I can’t think of anything else that would work. Good luck if you do try! I like avocados a lot and I like seeing the creative use of ingredients in cooking. But while I can see that avocados might do nice things for the texture of the ice cream, I don’t think I’d try this. Neither the color of the finished product nor the concept appeal to me. Sorry. Looks wonderful! I’ve done a lot of experimenting with avocados lately. They are so versatile, going from appetizers, salads and entrees to fabulous desserts, truly an amazing fruit! Nice to meet you Miryam and I love your recipe as it contains avocado. Ice creams with avocado must be awesome. Especially when they have lots of sugar, right? :D That’s my kind of avocado dish! Such a great looking ice cream, and especially perfect for enjoying here in Austin where it’s plenty hot! It was a pleasure meeting you ladies & hanging out at BlogHer Food. I hope you loved Austin! So fun that you guys were able to meet and visit some bakeries – what could be better for two food bloggers? :) I’m a huge mint ice cream fan but have never considered including avocados. Such a unique idea! Thanks, Tracey! And yes… it was fun visiting the bakeries. If only we would have had more time! Hi Miryam! So nice to “meet” you on Erin’s blog. I love Erin’s recipes and what a wonderful inspiration you’ve been to her. 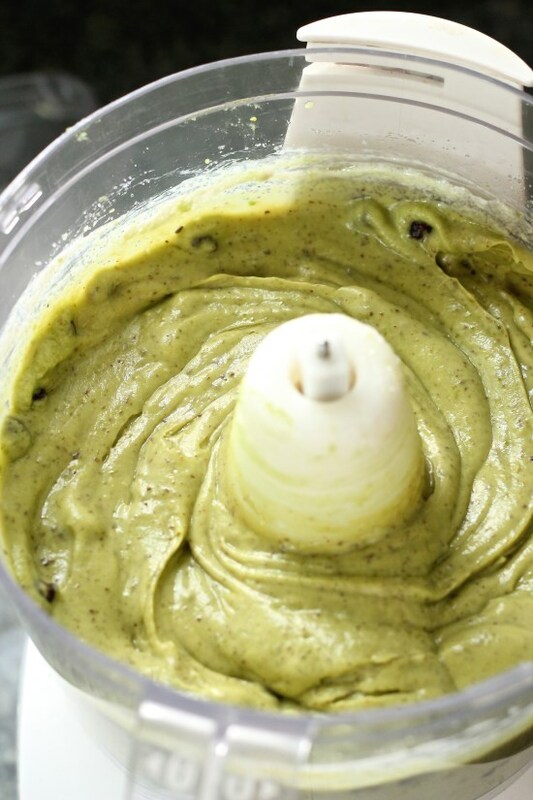 I love the looks and sounds of this avocado ice cream! I love mint + chocolate. I hope you and Erin had a blast at all of those NYC bakeries! I”m definitely jealous. Thanks Sally :-) I am glad you like the ice cream.